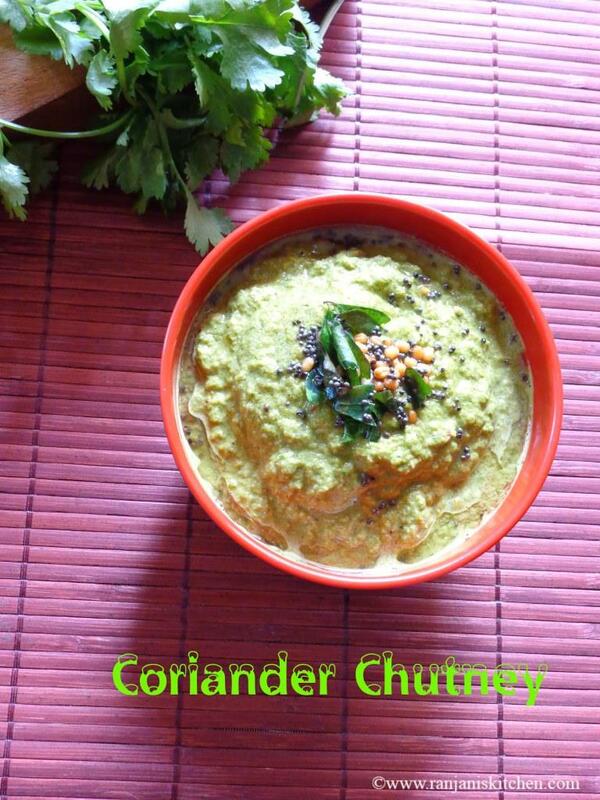 Coriander chutney – we can prepare this chutney in different methods. I made this with the combo of coconut and tamarind. It will be very good with dosa and idli. We must consume coriander on any form in daily basis. But surely will get bored if we prepare it in a same way :). 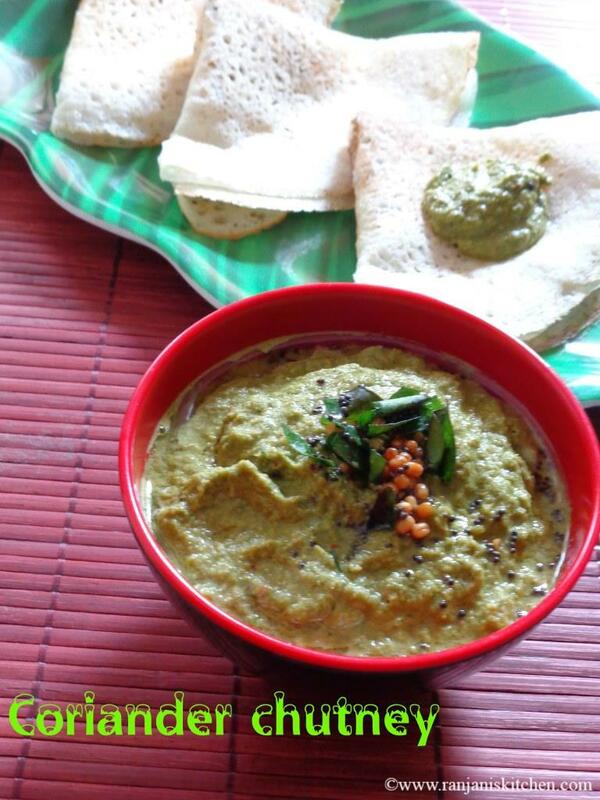 So we can enjoy by trying different combos like chutney, rasam or sambar. It has lot of health benefits. It is rich in Vitamin C, Vitamin K and proteins. It promotes the liver functions. It has antiseptic properties to cure mouth ulcer. High amounts of iron present in coriander. It will cure anemia. It plays major role to cure obesity. 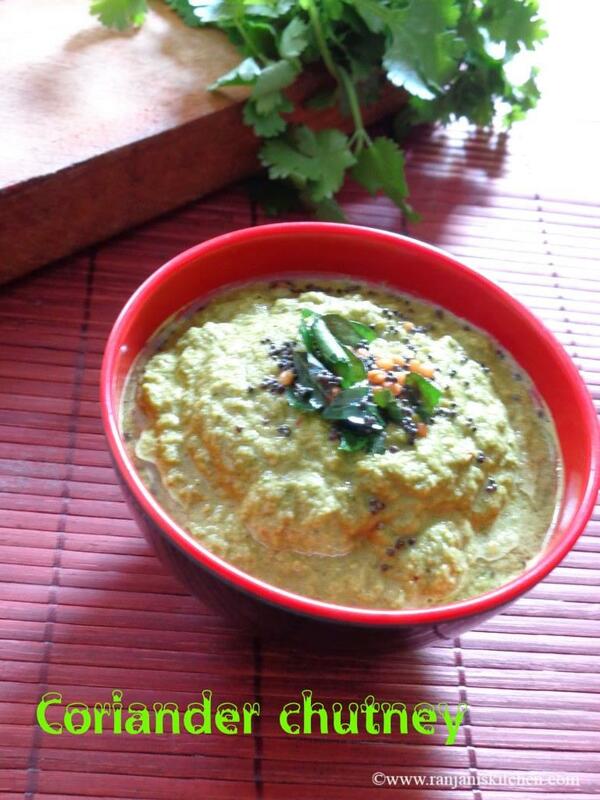 Coriander juice is effective to get rid off blackheads and acne. Cut the end roots in coriander and wash it thoroughly for two to three times. Then peel onions and keep aside. 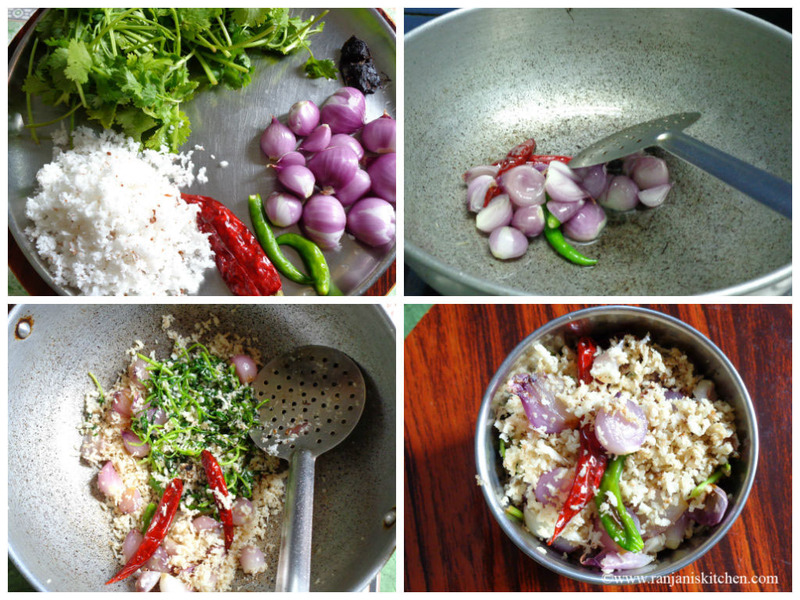 Heat a wok, add a tsp oil and saute onions,red chillies and green chillies. Stir well till the onion turns pink and transparent. Now add the coriander leaves, coconut and tamarind. Stir and sprinkle little salt over it. Stir for 3 mins. You can see the coriander leaves starts to shrink and nice aroma of coriander and coconut will come. Now turn off the flame and sit the mixture to cool down completely. Once it gets cooled., grind it in a mixer to smooth consistency and transfer to serving bowl. No need to add extra water. 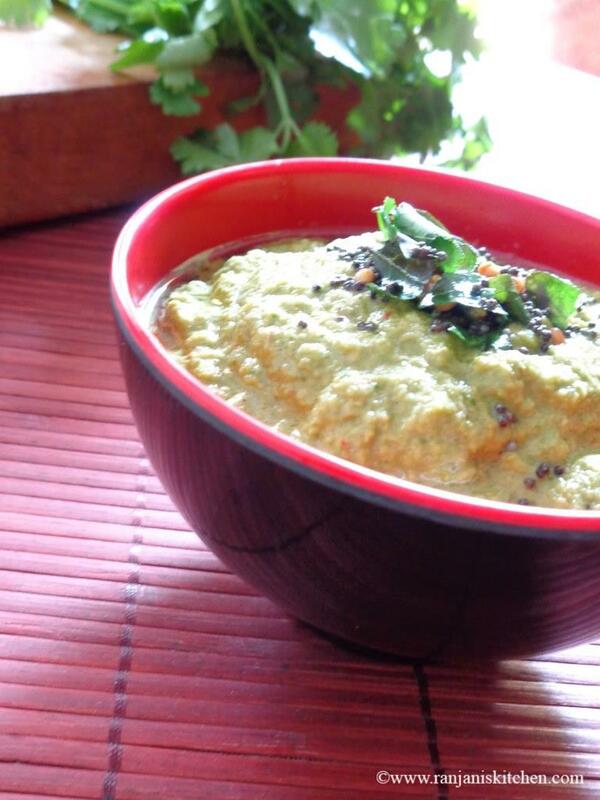 Heat a season pan, add oil and temper with mustard, urad dal and curry leaves. Just add this to the chutney. After grinding don’t add water. It will change the taste. Instead of tamarind we can add one full tomato for tanginess.But i didn’t test it yet. Adjust the salt level for your taste.